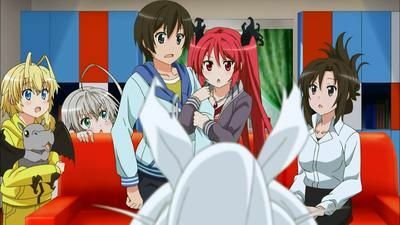 The Best Episodes of Nyaruko: Crawling with Love! The story of Haiyore! 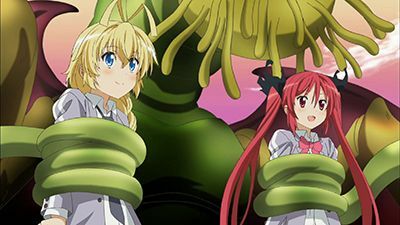 Nyaruko-san centers around Nyaruko, a formless Cthulhu deity of chaos (Nyarlathotep) who can take on the shape of a seemingly ordinary silver-haired girl. 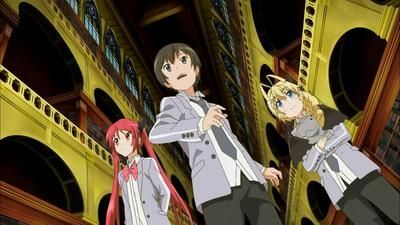 Mahiro Yasaka is a normal high school boy who is chased by aliens one night, until Nyaruko saves him. As Mahiro finds a curious handheld games console in a used game shop, he finds himself trapped in a cursed dating sim, where he is the protagonist and everyone else is in strange roles. In order to escape, he must attain a good ending with one of the others. Mahiro is trapped in a time loop and there seems to be no one around. 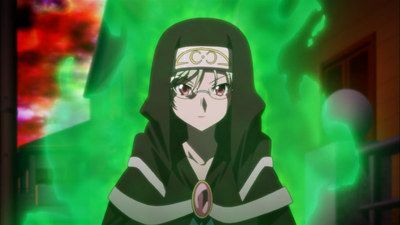 It is then revealed that his partners are trapped in a mirror and Mahiro is petrified by Lloigor, who is revealed to be evil. The gang must find a way to defeat Lloigor once and for all. 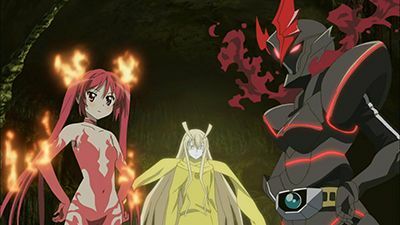 The Banshin had been built in a day rather than 500 years, and Nyarko, Kuuko, and Hasuta are ordered to leave Earth as a result because they aren't needed anymore. The group goes to check to see what the Banshin actually is, as it determines if they really do have to leave or not. 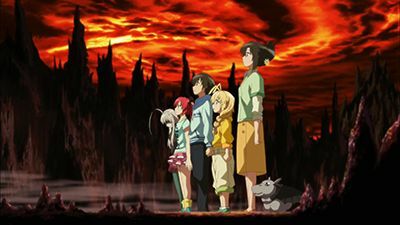 Will Mahiro have to say goodbye to Nyarko, Kuuko, and Hasuta? Another day, another attack from the mysterious Nightgaunt monsters, and another resounding victory for Nyarko and her Space CQC. 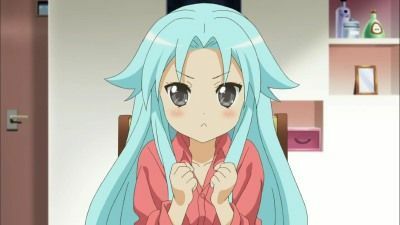 Rather than waiting for the monsters to attack, Nyarko announces her plan to go on the offensive. 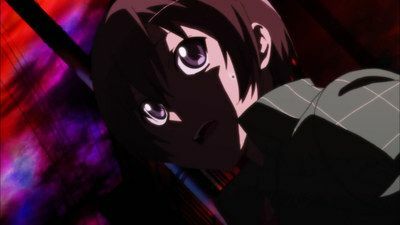 In order to take out all their enemies at once, Nyarko and Mahiro head to the underground auction held at their enemies' base, R'lyeh. However, the two find themselves face to face with an assassin, Nyarlathotep's archnemesis, Cthuga the Living Flame. The troubles from the library continue as the group travel to the ancient city of Alaozar. 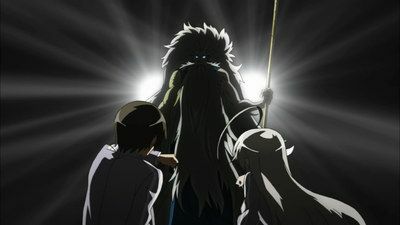 Before Nyarko can dispense justice the Great Old Ones pull an unexpected move. 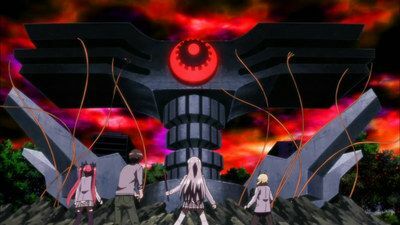 An enemy of the future is trying to destroy earth, Nyaruko and the other must fight the enemy under their "certain" situation. 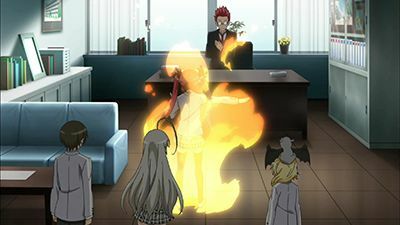 Mahiro and Nyaruko accidentally switched bodies by a representative of Dreamland. 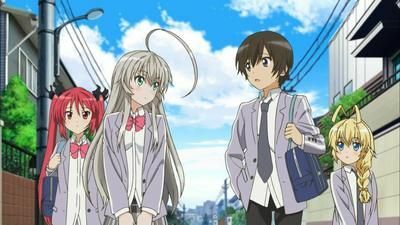 Yoriko dropped off a lost rich deity girl at Mahiro's home, which causes problems for Nyaruko and the others. One night, Yasaka Mahiro finds himself under attack from a mysterious monster. In his moment of need, a silver-haired, green-eyed girl appears. 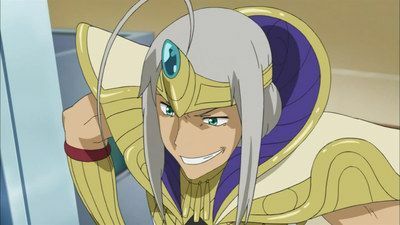 "I'm the chaos that always crawls up to you with a smile, Nyarlathotep." Identifying herself as the deity from the Cthulu Mythos, she claims to have come to protect Mahiro. 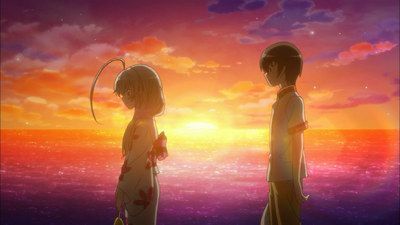 However, she tricks Mahiro into leaving his home, goes shopping at anime shops, and in general mixes business with her personal affairs. Meanwhile, they are assaulted by another mysterious monster. Why do these monsters keep attacking Mahiro. 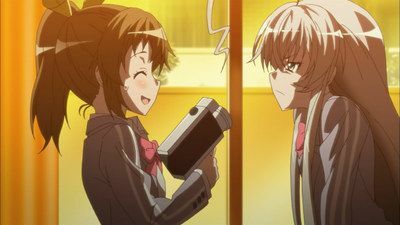 Mahiro hurts Nyaruko's feelings saying that he doesn't like her. 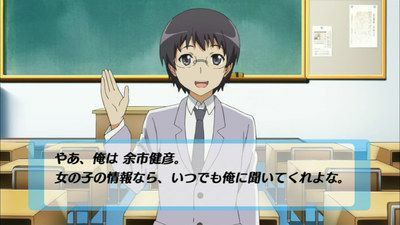 Yoriko asked him to go on a date with Nyaruko to cheer her up. 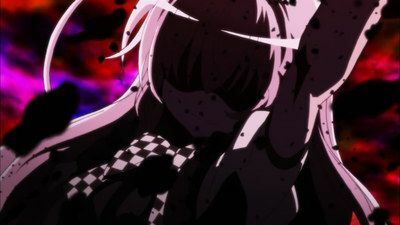 Someone has killed the gods of the Dreamlands, and their next target is Nyarko. 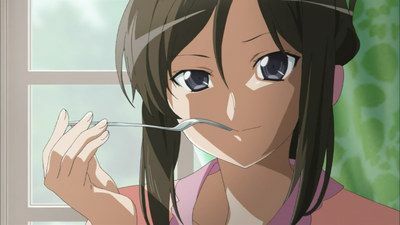 Meanwhile, Nyarko moves into the Yasaka home and begins moving into Mahiro's every day and school life. Mahiro's anger continues to grow as Nyarko demands his affection. 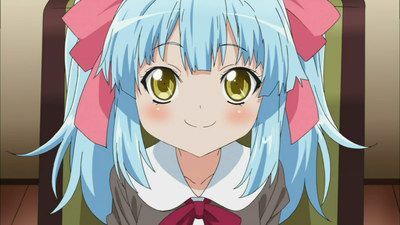 Kuko appears once again before the two when she transfers into their school. Having joined the Planetary Defense Organization, Kuko has been assigned to go to Earth to solve the Dreamlands murders with Nyarko. 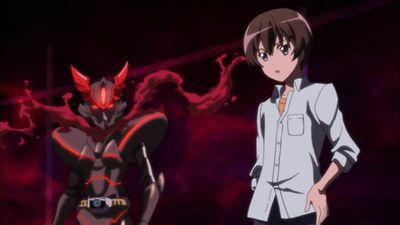 Mahiro finds that his mother was kidnapped for her expertise with game consoles, however the situation ends up being more messed up than it seems. 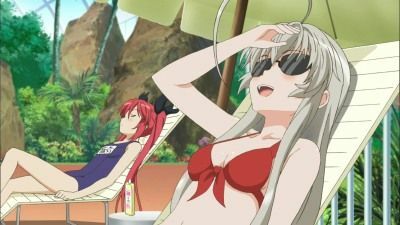 Afterwards, the gang goes to the beach and hot springs where Nyaruko makes another attempt to seduce Mahiro. Mahiro's mom Yoriko is kidnapped by a mysterious woman for some unknown purpose. Kuko is also blackmailed into helping her. 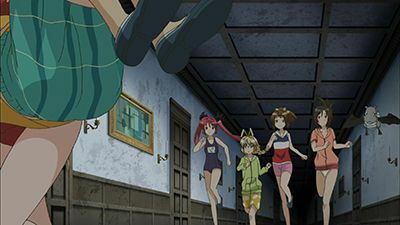 Mahiro, Nyaruko and Hasuta set out to R'lyeh again to rescue them. 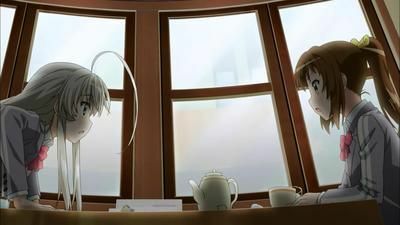 During the events, Mahiro and Hasuta have a series of awkward moments.